An open international competition ending at 1,000,000 entries (or upon the first perfect score). The person with the highest raw score at that time, on this extremely difficult intelligence test, will be declared the official winner. If required, a tiebreaker will ensue to find the Alpha Mind. Entry is only $25 (USD)! This includes an electronic preliminary raw report by e-mail of one's performance and registration (necessary for World Rankings listing). Official score reports are included at no extra charge. Raw score and preliminary I.Q. score is provided for first 30 entries. Following, a first official norm with I.Q. equivalency tables will be published. The test consists of 18 items: 6 verbal analogies, 6 verbal associations and 6 numerical sequences. The competition launched on April 1st, 2012.
WHO WILL HAVE THE WORLD'S HIGHEST I.Q.? IT COULD BE YOU! SOLVE THIS EXTREMELY DIFFICULT I.Q. TEST TO FIND OUT! RECOMMENDED FOR INTELLIGENCE QUOTIENTS 180+! 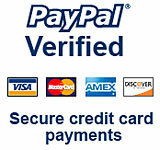 USE THE VERIFIED PAYPAL LINK BELOW TO PAY THE $25 REGISTRATION FEE (NON-REFUNDABLE) AND SEND YOUR COMPLETED TEST FORMS.